A series of tweets (that were deleted later) has the Democratic governor of Illinois in trouble with the Jewish community today. The tweets from Gov. 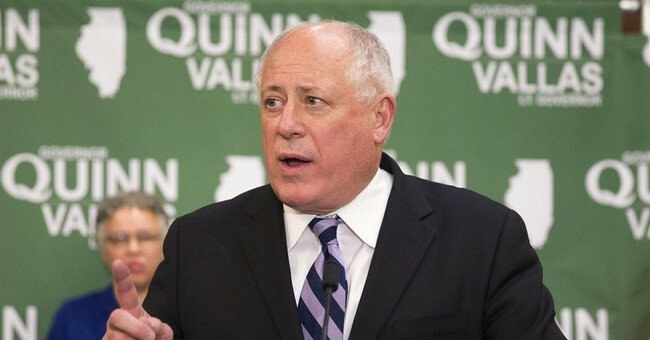 Pat Quinn urged followers to read an article appearing in the Chicago Sun Times that compared black Republican voters to Jews who collaborated with Nazis during World War II. Several readers of the Chicago paper were stunned and offended after reading writer Neil Steinberg’s column about the Republican gubernatorial candidate. The black Republican candidate, Bruce Rauner, was compared to Jews who worked with the Nazis against other Jews during the Holocaust. The Quinn camp praised the piece and tweeted it out to followers multiple times. The tweets were then deleted after local Jewish community officials quietly communicated their outrage to the governor. I guess I missed the part where black people aren’t allowed to be Republicans. How is it that a black person who affiliates with the Republican Party is a “race traitor”? This was clearly a misstep for the governor who is facing elections very soon. What’s shocking is that the campaign has yet to apologize for the tweets and has not even publicly acknowledged deleting them. It’s about time we all grew up Mr. Quinn.